Thomas, S. (2009), ‘The Relationships between Archaeologists and Metal-detector Users in England and Wales: Impact of the Past and Implications for the Future’, Ph.D. thesis (Newcastle University). Ever since the hobby of metal detecting emerged in the United Kingdom in the late 1960s, it has been at odds with professional archaeology, due to its apparent encouragement of treasure hunting. 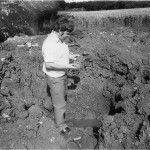 This thesis analyses the development and nature of the relationships between archaeologists and metal-detector users, focussing specifically on England and Wales. The roles of key individuals, events and organisations in the formation of legislation, campaigns and frameworks for interaction, are analysed. Therefore, the focus of the thesis is on individuals and processes involved, rather than on archaeological material. 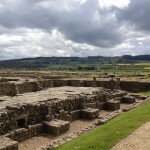 An international context is provided by reference to literature and interviews with individuals from the wider UK, and from other countries where different forms of treasure hunting take place. The role of the international trade in antiquities is also considered. A significant component of the research is historical analysis; studying archives that had not previously been researched, complemented by interviews with appropriate individuals. This, along with a survey of current metal-detector users and clubs, contributes significant original data to the academic discourse. The thesis is placed into a theoretical context by reference to ‘social capital’ and its application to the relationships between archaeologists and metal-detector users. Reflexive and hermeneutic research methods associated with post-processual theories are applied. 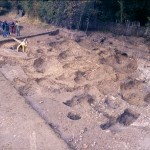 The thesis then analyses the development and success of the Portable Antiquities Scheme (PAS), a unique initiative in England and Wales operating alongside the Treasure Act 1996. This is done utilising the knowledge platform already established in the thesis, and information from professional archaeologists within and outside of PAS, and metal-detector users and the wider public. Reference is also made to recent reviews of PAS and current metal-detector user activity. Concluding, the thesis recommends further support for and enhancement of PAS, and to focus on improving communication, inclusion and trust. It points to the furtherance of research in this area by establishing, for the first time, an in-depth analysis of both the history and the current status of the relationships between archaeologists and metal-detector users. The term ‘nighthawk’ is generally used to refer to an individual who knowingly uses a metal detector in illegal activity, particularly involving theft from a protected archaeological site and/or from private land.